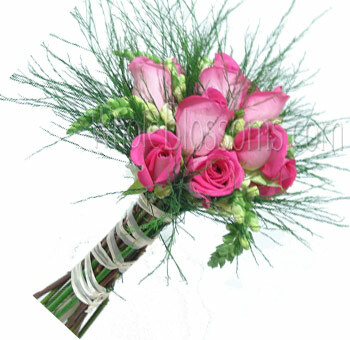 Bridesmaids Bouquets are also an important part of your wedding and of course, want that right look for your bridal party. When choosing flowers, you will want them to accentuate the colors of the wedding and reflect the special bond with the bride. 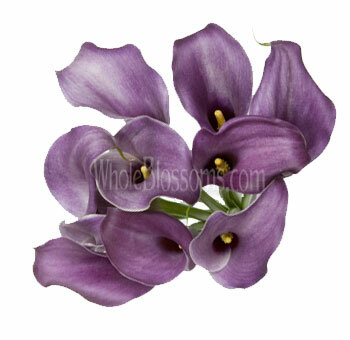 Our collection is expansive, providing numerous floral options in size, color, and variety used. By choosing the right one, you can be sure of achieving the right look. 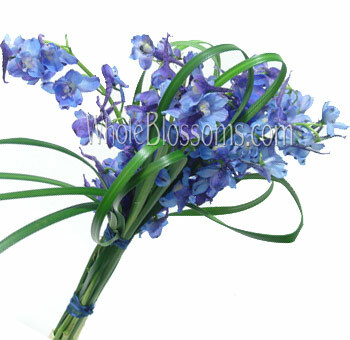 In addition, please view our extensive collection of other fresh choices, including bridal bouquets, DIY flowers, boutonnieres, corsages, and other packages. The bridesmaid's bouquet is such detail of a wedding that seems to overlook but is actually what brings the theme together. 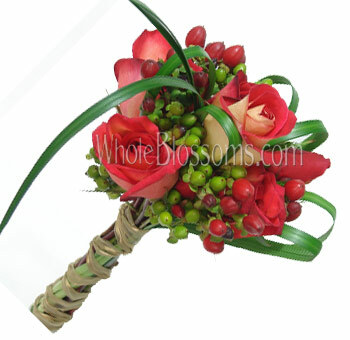 It ties down with the bridal bouquets, and the brings cohesiveness to the entire theme of the wedding. It's a long-standing tradition to after bouquets to your bridesmaids. 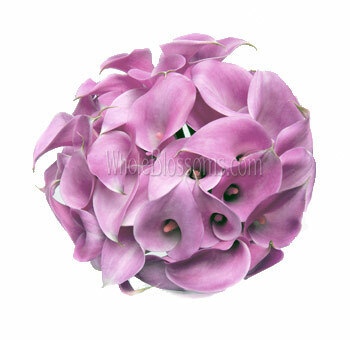 They are often made to look similar but smaller in size than the bridal bouquet. Bridesmaids have one of the most difficult jobs when it comes to weddings. They help and oversee all the wedding stuff from making the guest list to even throwing a bachelorette party for the bride. They hold the bride up throughout the whole wedding process. That's why they too, hold flowers along with the bride. It's a symbol of thanks from the bride to the friends who supported her throughout the wedding. Bridesmaids take pictures with the guests and the bride and groom. 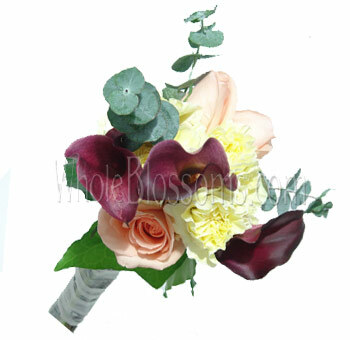 Their bouquets are generally in the same colors as the wedding theme. 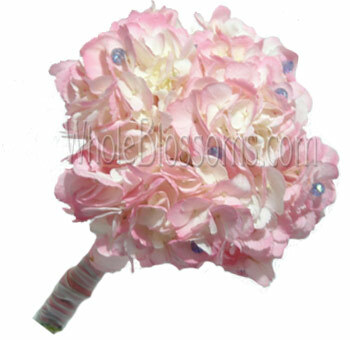 Some even opt for smaller versions of the bridal bouquet. 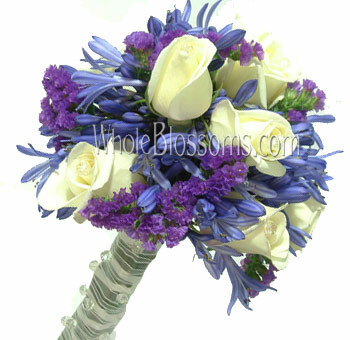 The bridesmaid's bouquet should be just as elegant and beautiful as the bridal bouquet. 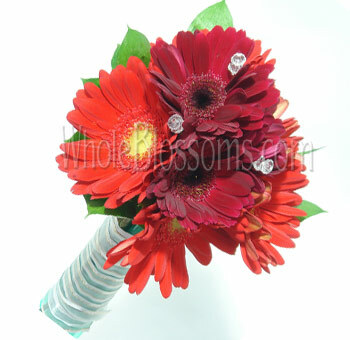 Some of the best bridesmaids bouquets are the ones that are hand tied and have a composite look. Common flowers are roses, spray roses, garden roses, peonies, Calla lilies, delphiniums and even greenery like eucalyptuses or rosemary and myrtle. It's very easy to make floral bouquets. 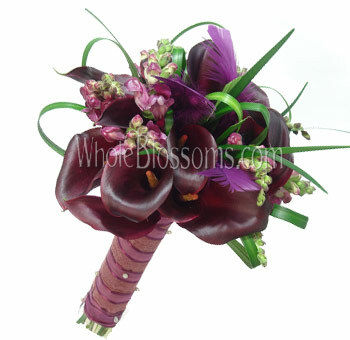 If you have the time and the creative flair you could make not only the bridal bouquet but also the bridesmaids. 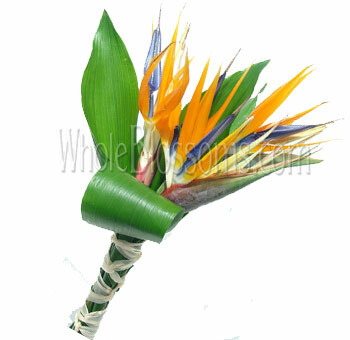 To make a DIY bridesmaids bouquet for wedding, all you need are flowers greenery and a little bit of creativity. Keep in mind seasonality. It's easy to want to add this flower or that, but it's a real downer when you can't find them in the market. Also, when flowers are in season, that's when they are the best in quality and price. You’ll need a few things too apart from the basic flowers and greenery and fillers. Floral shears, floral tape a bucket and water are the things you'll use.Along with something to tie the bouquet together. 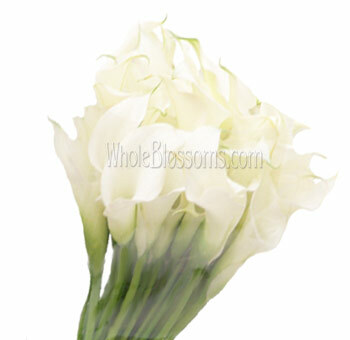 You can purchase your flowers and greenery at a good wholesaler or cut flower vendor. The next thing to do it remove the stems and thorns if you're using roses. 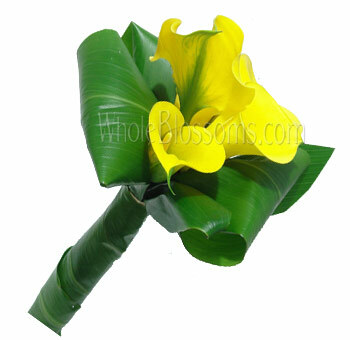 Make sure the flowers and leaves, as well as fillers, are same in length. 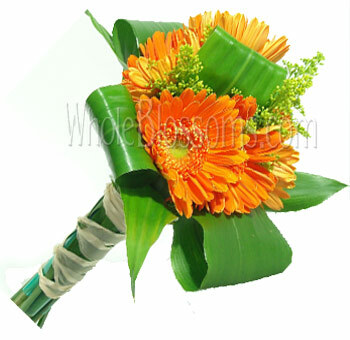 Make a few big flowers the center and bunch them together with a rope or ribbon. Now start adding more flowers around the anchor flowers and periodically add greenery and fillers too. You can play around if you want. And you're done! You can buy flowers in bulk if you’re a do it yourself bride. This is a highly suggested since buying in bulk helps in cutting down the budget by a lot. 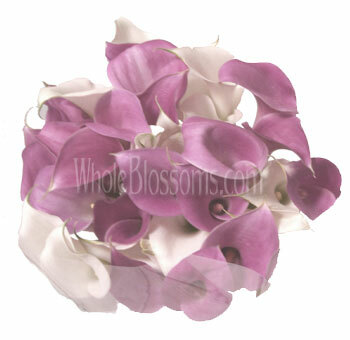 Wholesalers like Whole Blossoms are extremely well known and renowned for their cut flowers for weddings. 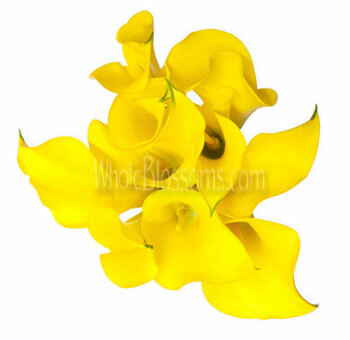 They are a trusted vendor that can cater to all your floral needs. 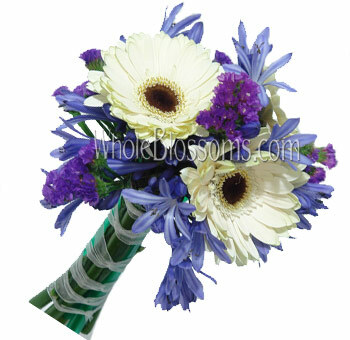 They even have a 24/7 hour delivery service system which delivers your flowers right to your doorstep!